A range of specially selected dried botanicals to infuse your favourite gin and tonic, soft drink or cocktail. Floral notes of rose and hibiscus in a crimson blend of sweet raspberries. View more from Pastels, Drink Infusions, Gifts for The Gin & Spirits Lover, Secco. I bought these as a gift together with some gin & tonic for my sister-in-law who's a gin fanatic. This product really takes gin & tonic to the next level, not only making it taste yum, but also makes it look really really pretty in a glass. Well worth the buy. Gin is the new trend. And to serve an extraordinary gin provides so much pleasure. If you have the perfect gin and tonic combination already, this provides the additional flair that is needed to round it off perfectly. Ok so fresh berries etc are best but when you forgot to go to the shop & want that extra pizzaz in your gin & tonic these are definitely the way to go. 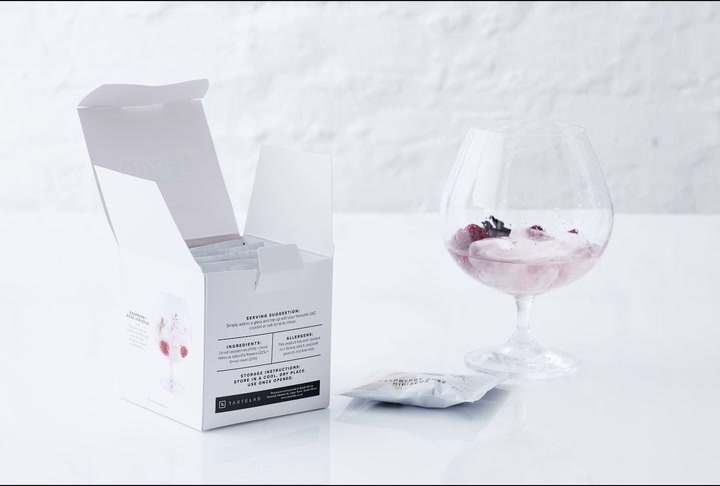 Plus with the Raspberry Rose pack you get to watch your drink slowly take on a pink hue & what Girl doesn't like a Pink Gin. Definitely want to try the other variants soon. Beautifully dried, you can crush the flowers fruit and each pack can then be sprinkled into 4 champagne flutes.